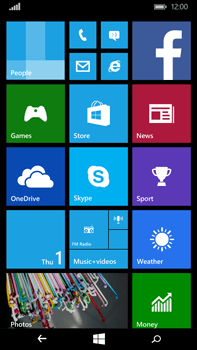 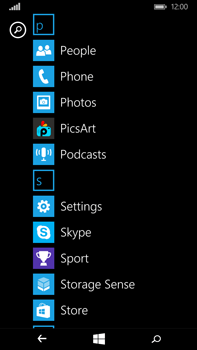 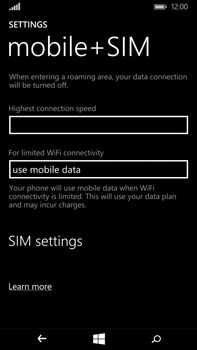 Settings for mobile internet can not be sent to your Microsoft Lumia 640 XL via SMS. 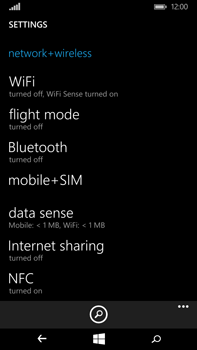 If Data connection is disabled, enable Data connection. 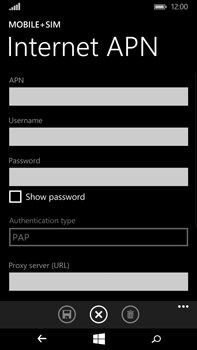 If Manual Internet APN is enabled, go to the next step. 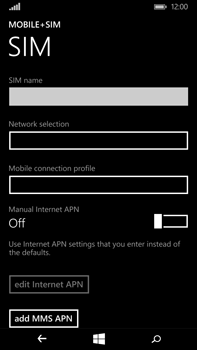 If Manual Internet APN is disabled, enable Manual Internet APN and skip the next step. 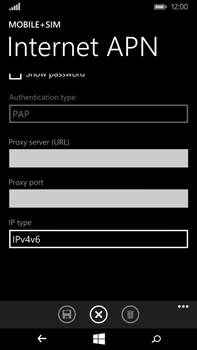 Under IP type, choose IPv4v6. 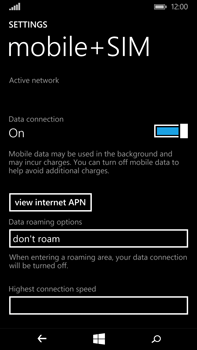 The Microsoft Lumia 640 XL has now been configured for use of mobile internet. 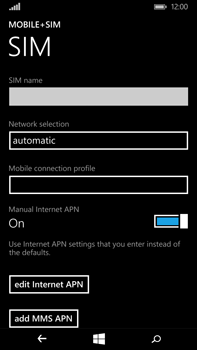 Switch the Microsoft Lumia 640 XL off and then on again to activate the settings.